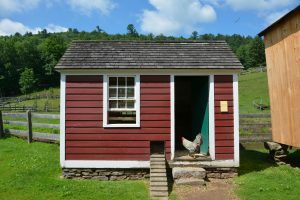 This Farmers’ Museum poultry house is not a historic building; however, it is based off plans published in The American Poulterer’s Companion and The Albany Cultivator in the early 1840’s. The house contains nests and angled perches for roosting. 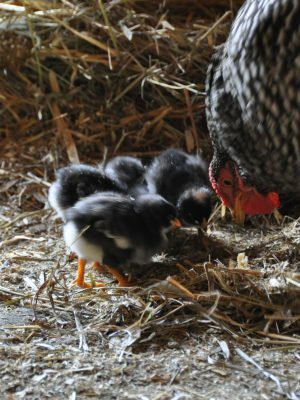 The building not only provides security and shelter for the chickens but also encourages egg laying in a specific area for ease of gathering. Farmers' Museum Poultry House keeps the chickens safe and warm at night. 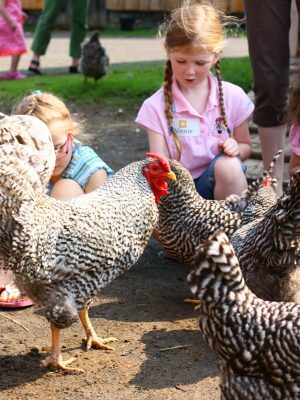 According to the American Livestock Conservancy, heritage breeds are traditional breeds of animals raised by people before industrial agriculture became the main practice. 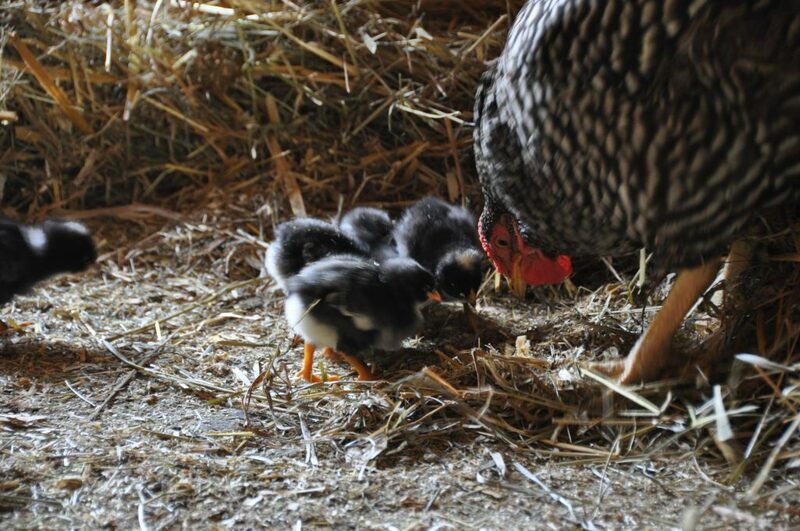 Industrial agriculture breeds animals with certain traits for a specific purpose, such as more meat or larger eggs. This practice limits the wide range of characteristics an animal would naturally have. 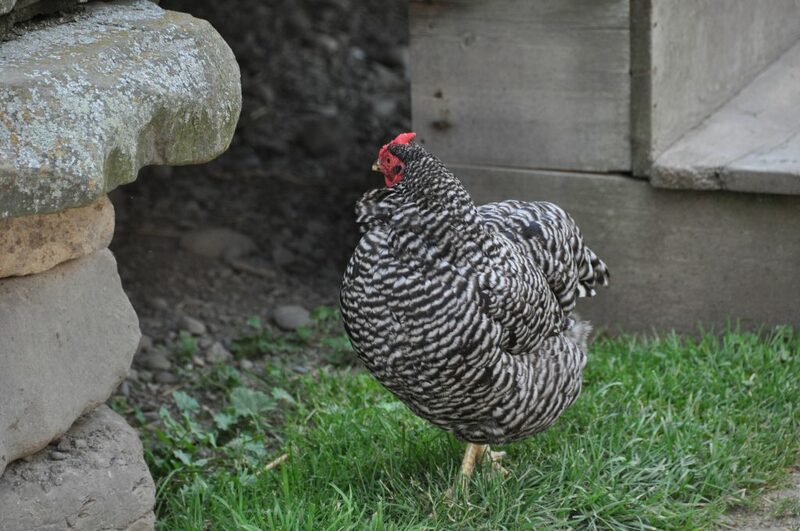 For example, Heritage chickens must have a moderate to slow growth rate and a long, productive outdoor life. That is why keeping the tradition of raising heritage breeds today is so important. 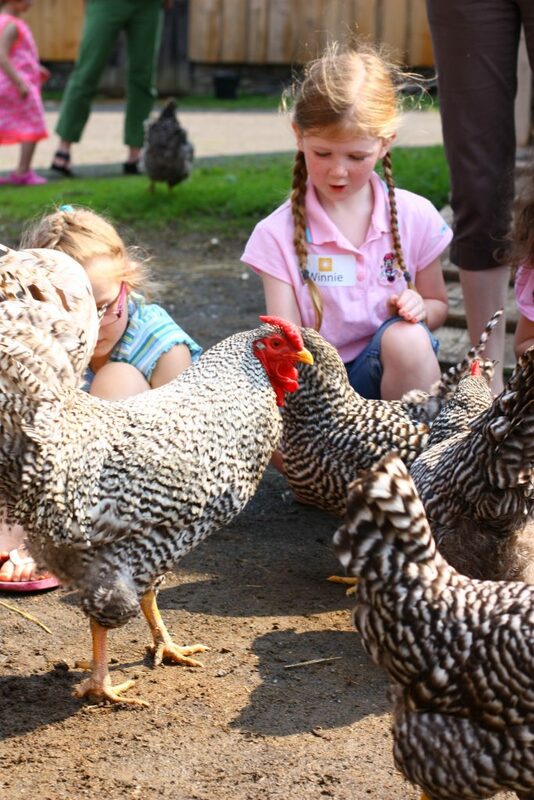 The Farmers’ Museum raises three different types of chickens: Dominique, Rhode Island Red, and Buff Orpington. 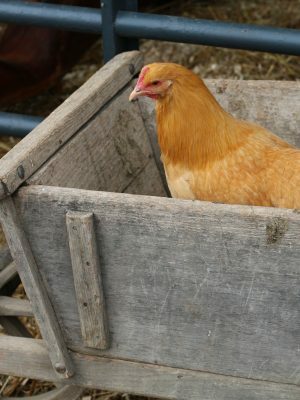 The Dominique breed of chicken is recognized as America’s first chicken breed, probably brought over in the 1700’s from Haiti. 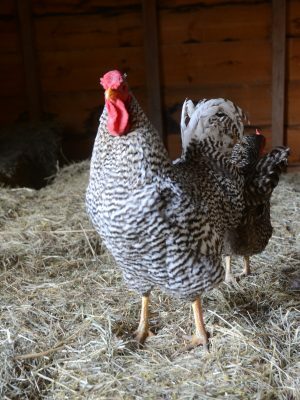 Our farm chose Dominiques because they were popular farm chickens by the 1820’s. 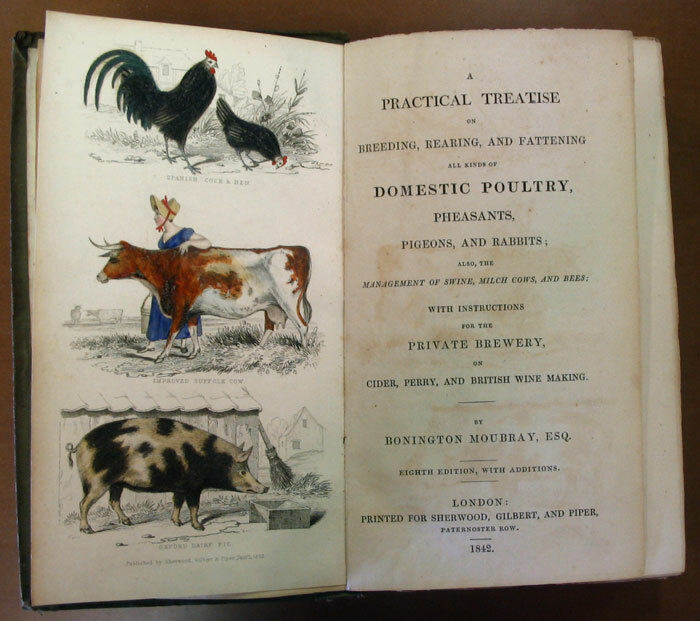 In the 1840’s, chickens provided eggs and meat, which was a vital source of protein for farm families. Dominique chickens average 230-275 small to medium sized, brown eggs per year. 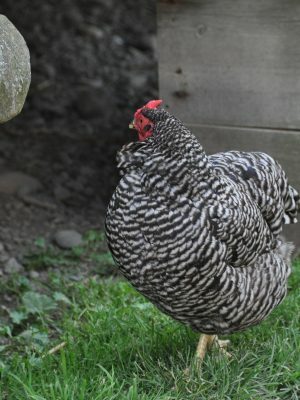 Dominique chickens are a hearty breed with tightly arranged feathers that help prevent frostbite. 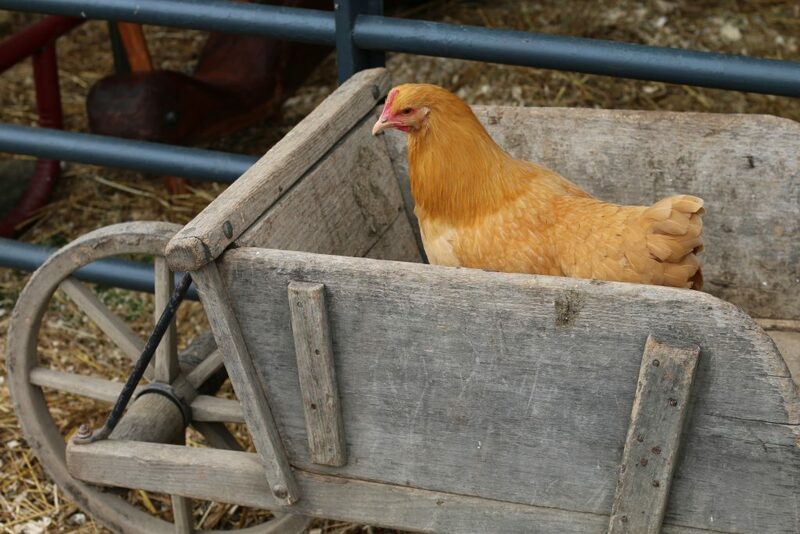 The fine plumage of these chickens also supplied farm families with abundant material for feather pillows and beds. The plumage is black and white barred. 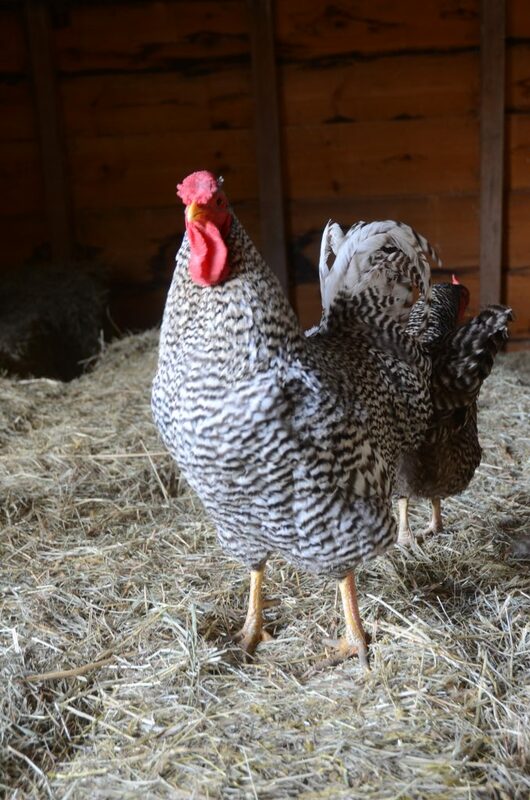 This coloring helps make the chickens hard for predators to see.